In the first part of Solr faceting solr field value faceting, If you haven’t read it please refer first blog first for better understanding of solr faceting. we have discussed field value faceting, In this article, we will discuss the seconds part of Solr faceting i.e Solr Range Faceting. Solr provide Range faceting to get range wise results.We can use range faceting on any date or any numeric fields that support range queries. 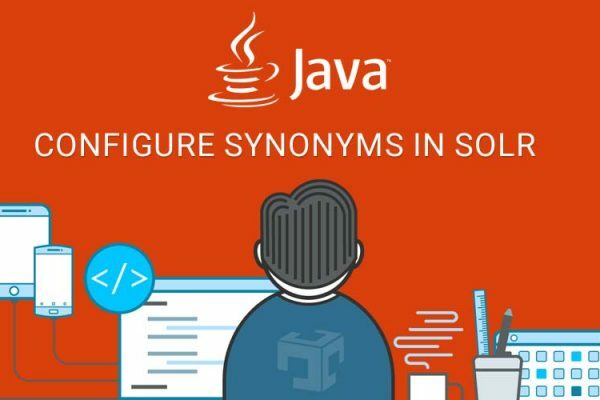 Let’s discuss various parameters with detail explanation. facet.range parameter defined the field which we want to range facet.We can give multiple fields by giving multiple times in query as below. The facet.range.start parameter used to specified lower bound of a range. We can specify lower bounds for multiple fields using field specific syntax(f.<field_name>.facet.range.start). The facet.range.end parameter used to specify upper bound of a range. We can specify upper bounds for multiple fields using field specific syntax(f.<field_name>.facet.range.end). 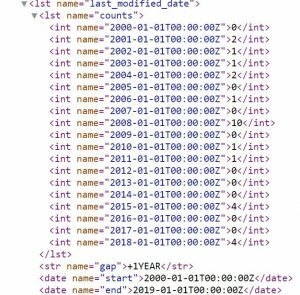 In below example we have indexed some dummy data to check date range faceting.Here we kept date one year as range gap. By executing above query we will get the output as below. In Real life use cases, users drill down to specific documents/datasets by changing gap value from year, month, day etc.. which give an in-depth idea about data. 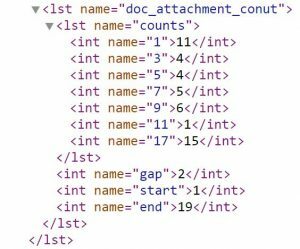 As date range faceting solr will also support range faceting on any numeric fields.In our example we will use int field doc_attachment_count. By executing above query solr give the result as below. 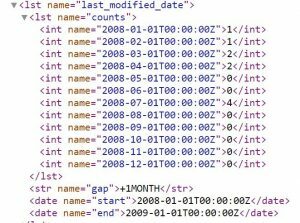 In this article, Basic query syntax of solr numeric range faceting and date range faceting. we have discussed solr range faceting with important range parameters and some of the basic examples. Refer solr field value faceting and Solr Reference Guide for more details.